Jews believe in a purification (a purgation) which takes place after death. When a Jewish person's loved one dies, it is customary to pray on his behalf for eleven months using a prayer known as the mourner's Qaddish (derived from the Hebrew word meaning "holy"). This prayer is used to ask God to hasten the purification of the loved one's soul. The Qaddish is prayed for only eleven months because it is thought to be an insult to imply that the loved one's sins were so severe that he would require a full year of purification. 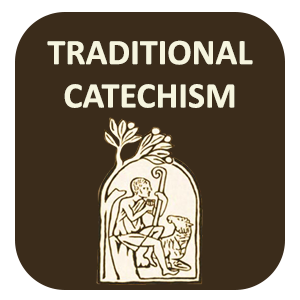 In the Trent Catechism it says that some of the faithful who are not living on earth but have died, their sins have not yet been fully expiated [atoned for]. The fact that we reap what we sow is good news for those who sow good, but a frightening thought for those currently involved in ungodly activities such as promiscuity, drug and alcohol abuse, neglect of family, or mistreatment of others. We cannot sow crabgrass and expect to reap pineapples. We cannot sow disobedience to God and expect to reap His blessing. What we sow, we reap. Let us not deceive ourselves: We will reap the harvest of our lives. We reap later than we sow. This is where Purgatory comes in. As it was said, "Some crops we reap quickly; others take a long time." and if we have not fully harvested the consequences of our sowing we have purgatory to go through to help fulfill the law of Sowing and Reaping to its end. If you commit a crime of murder and realized you were wrong and except the atonement that Christ did on the cross. You still have to reap what you have sown. You are going to jail! If you commit Adultery and ask God for forgiveness and through his atonement He forgives you. There is still a reaping and sowing law that must happen. You are right with God now. You have peace in your heart that you never had before but because of your sins you loose your children, your wife, your family. They are wounded by your sins. Your children will more then likely grow up not having an example of what a father should be. Your wife is now having to take on responsibilities that God never intended for her to have on her own. Your sins, have consequence that go far beyond you. When you sowed that sin of Adultery you affected several generations. Your children can grow up not knowing how to be a father to their children because you were not there for them. The children's children grow up in rebellion because of it. etc etc. Do you see the picture? Scripture calls it "The sins of the Father visited on the their sons:"
The LORD is slow to anger and filled with unfailing love, forgiving every kind of sin and rebellion. But he does not excuse the guilty. He lays the sins of the parents upon their children; the entire family is affected--even children in the third and fourth generations. Once you die, even though you die in the Grace of God, your sins that you committed in this life are still going to have an affect on others long after you are dead. And all those affects will not be revealed until the last Judgment of God when time ceases to exist. The Church of Corinth has been bickering and saying, I am of Paul and I am of Apollo. When in reality both Apollo and St. Paul were working together for the good of the parishioners in the Parish. The difference, between him and Apollo was that they had ministered in different ways. "I [St. Paul] planted, Apollo watered" but they were "God's coadjutors". In other words they were working together with God. The people that they ministered to -the husbandry: husbandry means the cultivation or production of plants. In other words, the people were like a field of plants that St. Paul and Apollo was responsible to take care of. They had a large responsibility for helping to form Christ in to the lives of these people in the Corinth Church. Not only does he use farming as an illustration, but then he move on to a building, a structure. Now this is where purgatory comes in to play. There are two judgements that we as Catholic will appear before. 1. A "particular" judgment at the time of death. 2. A "general judgment" at the end of the ages when the deeds of all will be known by all and nothing will be hidden. The "day" that St. Paul is referring to is the particular judgement, the day at the time of our death when we will stand before God and the eternal destiny of each separated soul will be decided by His just judgment. The Works (or the kind of lives the clergy built on Christ the Foundation) Shall Be Manifested and Revealed. The word manifested means: to Make plain, to open, clearly visible to the eye or obvious to the understanding; apparent; not obscure or difficult to be seen or understood. The word revealed means: To disclose; to discover; to show; to make known something before unknown or concealed; as, to reveal secrets. God Uses Fire to Manifest, to Make Clearly Visible, the Works We as Clergy Did in the Lives of People and to Reveal and Disclose and to Show What Kind of Works They Were. Fire can do two things, Fire can refine- It removes the impurities which would make the precious metal LESS than it should be. But then also fire burns away things like wood, hay and stubble. Although St. Paul's illustration is concerning the Religious. All of us who have been converted to Christ and have been baptized will be judged for our influence on people who God has brought into our lives. Will your life be a testimony to Christ and His Church? Will people begin to live there life more like Silver and Gold because of their knowing you or will there lives become more like wood hay and stubble? The way we live out our life effects those around you, either for good or for bad. 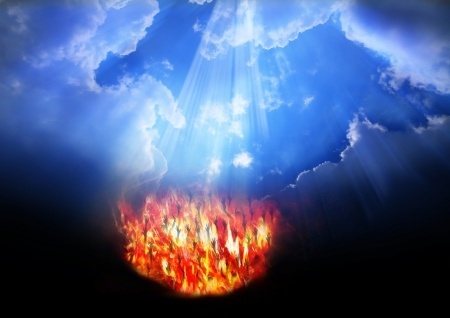 And it is in the fires of purgatory that it will be revealed and manifested and then purification will be accomplished through that same fire. How long is purgatory for each individual? The simple answer is, the fire refines and or burns away anything that should not be there. And it could be a small period of time to all the way to Christ's Return. The time is based on two things. One, how far did our lives affect others? First generations? Second generations? etc. etc. Two,The time in purgatory is based on the prayers of the Militant Saints. The prayer mentioned here is not just any prayer. No, it is more specific then that. St.Paul says, "watching with all instance and supplication for all the saints" We are to be praying for our fellow Christians, our fellow Saints. St. Paul lived what he preached! 'Your battle Buddies are always together and that allows them to never feel like they're alone,' 'The idea is to let Soldiers feel like someone's always got their back. '- Sgt. 1st Class Casey Vanzant, A Company, 1st Battalion, 13th Aviation Regiment platoon sergeant. That's how we as the Militant Saints should be. We should always have each others back in prayer. But not only should we be praying for each other but also for the Suffering Saints in Purgatory. For they are just as much as part of the "for all saints" as the Militant are. (see II Maccabees 12:39-46)"
When we pray for those in purgatory or for that souls Son here on earth, or that Souls grandson here on earth etc. We are asking God to purge the things that were sown in that Souls life that affected the Son or the Grandson in some negative way. May we always realize how our lives makes a difference in others. May we always remember that there is a natural law of sowing and reaping. May we always be praying for the suffering souls in purgatory. Having always on our lips and heart the prayer...."May the souls of the faithful departed through the Mercy's of God rest in peace."